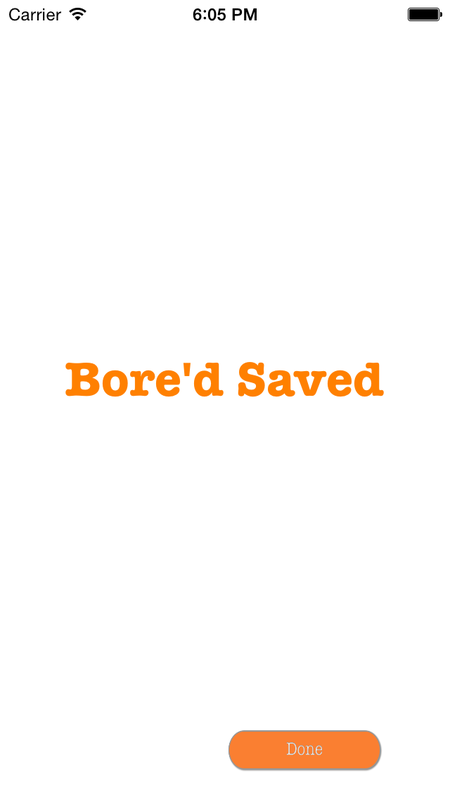 ﻿Bore'd is an app I wrote to learn how to correctly integrate the Parse backend. 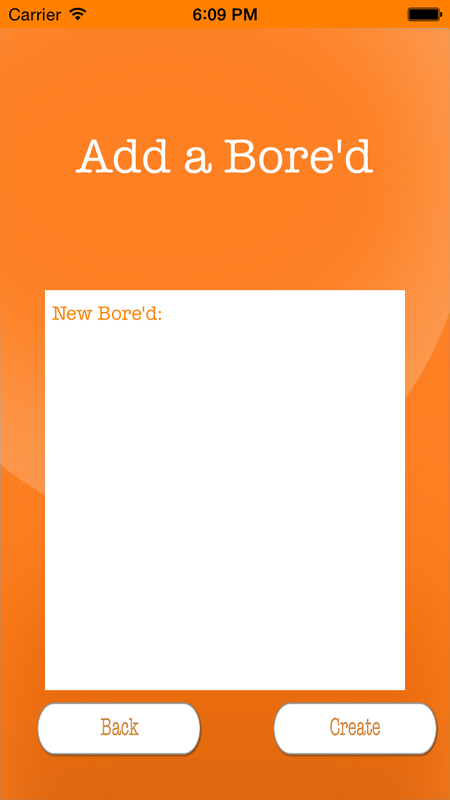 The app allows users to generate and create random fun activities. So far, the app has over three hundred downloads and over 200 Bore'ds. 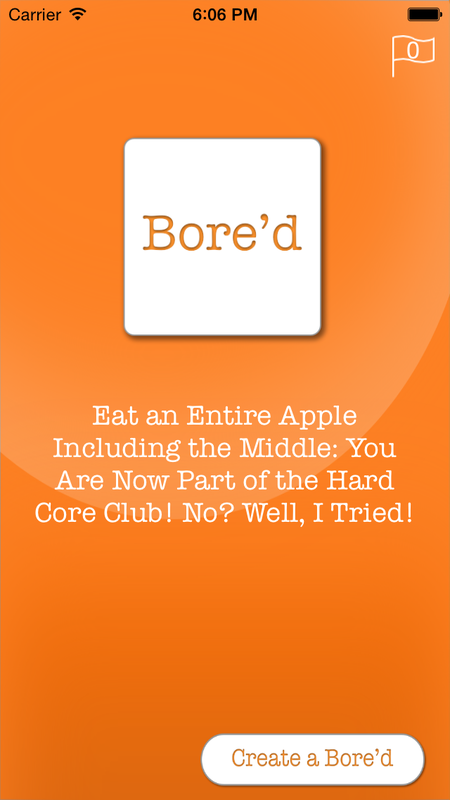 Any Questions or Complaints About Bore'd?